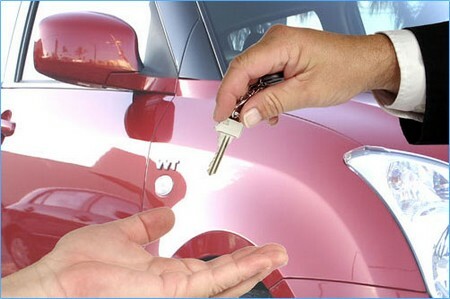 You will not find it easy to get a car loan after bankruptcy, but you won’t find it impossible, either. You will have to look for lenders willing to deal with persons who have declared bankruptcy and get approval from the trustee who deals with your bankruptcy file. You can actually use a car loan to boost your credit rate. Follow these guidelines to get a car loan after bankruptcy. Your bank account was probably closed in the bankruptcy process. You will need a checking account, so open a new bank account. You need to have a history with the bank before asking for a loan. Wait a few months after you open the new bank account. Find a lender that works with bankrupt people. Quite a few lenders will approve your credit, but you have to do some work and find them. You will have to fill out an application for a car loan. Don’t worry if you get rejected; you have a bad credit history and that might happen. Just try again until you find a lender that will work with you. You have more chances of getting the loan if you have a job and can prove you have a stable income. Few (if any) lenders will give you a loan if you don’t have a job. This makes sense, as they need a financial guarantee you will have the ability to make the payments. If you don’t have a job at the moment, don’t ask for a car loan before you secure employment. Having a person to cosign your car loan proves a good way of getting approved faster and perhaps even obtaining a lower interest rate. Ask a friend or relative to cosign your loan application if you have trouble getting a loan by yourself. Keep in mind, though, that if you do not make your payments on time the person who cosigned your loan will also be responsible for the debt. If you do get a car loan, you will most probably have a high interest rate. This usually happens with any kind of credit bankrupt people try to get because of their bad credit history. Try to refinance your loan after a while to lower your interest rate. 6. Make sure you can afford a new loan. You already have a fragile financial situation as well as a bad credit history. Examine your budget closely and be honest with yourself. If you can afford a monthly payment, do it. If you cannot afford it, postpone getting a car. Make payments on time on your new car loan. If you decide you can afford to buy a car and you get approved for a loan, carefully plan your budget. Making payments on time will help with boosting your credit score. Never lie on your loan application. The lender can easily find out about any untruths from your credit report and will reject your loan application.